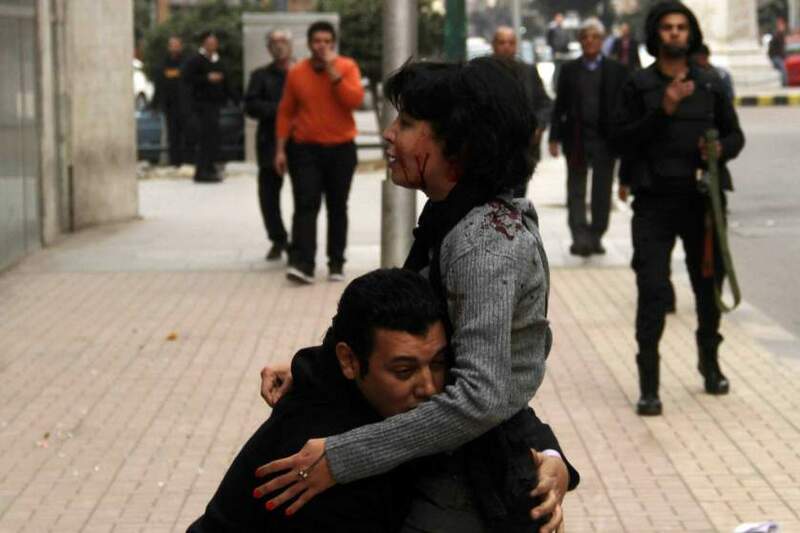 Egyptian socialist activist Shaimaa Al-Sabbagh, who was shot by a policeman, was killed by the birdshot used because she was “too slim” and had “no fats”, said Egypt’s Forensic Medicine Authority. Hisham Abdel-Hamid, the Foresnic Medicine Authority’s spokesperson, told Sada El-Balad television channel that Shaimaa was “not supposed to die” and that her death was an “extremely rare” but “sad” case. “Shaimaa had “no fats, so [birdshot] particles easily penetrated into her heart and lungs causing her death,” said the spokesperson in comments to the television channel, reported Ahram Online. Shaimaa, a member of the Socialist Popular Alliance Party (SPAP), sustained a birdshot wound that ultimately led to her death during protests on the eve of the January 25 revolution’s fourth anniversary in January. On March 17, Egypt’s Prosecutor-General revealed that the killer of the activist was a police officer from the Central Security Forces and that he would stand trial for the use of ammunition that led to her death.